Whoop! Just achieved my fastest mile to date, 9:03 – not bad for a soggy and cold Tuesday evening en route home (5.5 miles in all). Slowly, I’m getting a bit faster. Rather pleased and my splits look pretty even, so it wasn’t just a fluke while running down hill, or arenalin from escaping a rabid mutt in Acton. From toddlers who can barely walk, to the older kids who careen from one side of the pavement to the other while yacking on their mobiles, none of them have any sense of how fast they are going or have any regard their immediate surroundings. No one is safe, from elderly people innocently waiting for the bus to runners like myself (in high vis no less!) we’ve all had to veer out the way or risk being smashed into by two vicious small wheels and being sworn at by either the parents or the snotty preteen. Ban them. Ok, we’ve all done it. We’ve been busy updating statuses, too involved in the ipod or distracted by some delinquent child smashing into a poor women at the bus stop on a scooter. Nevertheless, every single time I head out on a run I have to use some fancy footwork to avoid colliding with offenders who just step into the street without looking. Its the typical blinkered London commuter state of being. Shouting ‘excuse me’ or ‘careful’ only seems to illicit shocked glares and the occasional 118 joke. I am tempted to get a bell. Or a taser. 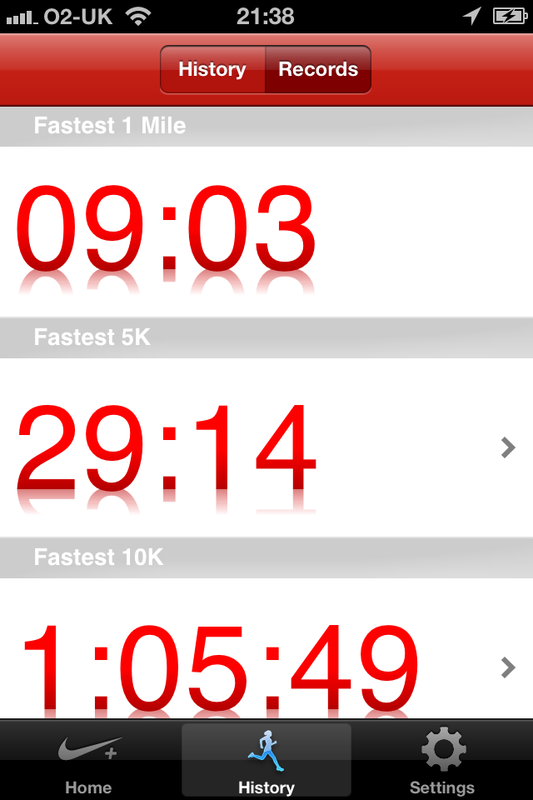 So, I’m feeling pretty chuffed with my 9:03. Now I just need to find some decent anger management classes.